Field of 64 announcement with Regional predictions and highlights of top-end draft prospects. My pre-CWS predictions were #1 Florida from the top and #3 Oregon State from the bottom, but noting that Arkansas and Mississippi State in particular were going to be tough outs. In the opening games Arkansas put up 8 in the 6th to easily down Texas 11-5. Madison HS’ Andy McGuire was called upon for mop-up duty by Texas. In the nightcap, Texas Tech got to Florida ace Brady Singer and downed the #1 seed 6-3. In the first elimination game, #1 Florida whacked Texas 6-1 behind 1st round pick Jackson Kowar to eliminate Texas. In the winner’s bracket game, #5 Arkansas scored early and often and was in control throughout over Texas Tech. In the play-in game to the group final, Florida got some revenge and eliminated Texas Tech to force their way into the group final. In the group final, Arkansas got a dominant start from #3 starter Isaiah Campbell, who shut down Florida and got Arkansas to their first CWS final since 1979. In the opening games, UNC got to OSU’s stud Luke Heimlich for 6 runs early, then the game turned into a slow slog eventually won by UNC. In the night cap, Mississippi State got a walk-off RBI single to squeak by Washington 1-0. In the first elimination game, Oregon State blasted Pac-12 rival Washington 14-5 to make them the first team eliminated. In the winner’s bracket game, Mississippi State destroyed UNC 12-2 to continue its amazing late-season run and put themselves in the driver’s seat of this bracket. In the play-in game to the group final, Oregon State scored 8 runs in the last two innings to get revenge and eliminate UNC 11-6. In the group final, Oregon State destroyed Mississippi State 12-2 to force the decider. There, Oregon State took advantage of some iffy coaching to score 5 two-out runs early and made it stick to advance. 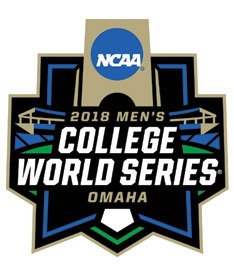 CWS finals discussion: Games 1,2,3 set for June 25th-27th. Advantage Arkansas here; their rotation is rested and has been successful in the CWS. Oregon State cannot say the same: Heimlich has gotten knocked out early in both his CWS starts and Fehmel didn’t get out of the 4th in his most recent start. Abel was fantastic against Mississippi State in the decider …. but even if they get to him he’ll be on just 3 days rest and may not even be available. CollegeBaseballDaily.com has coverage as well. CollegeBaseballCentral.com has coverage as well.